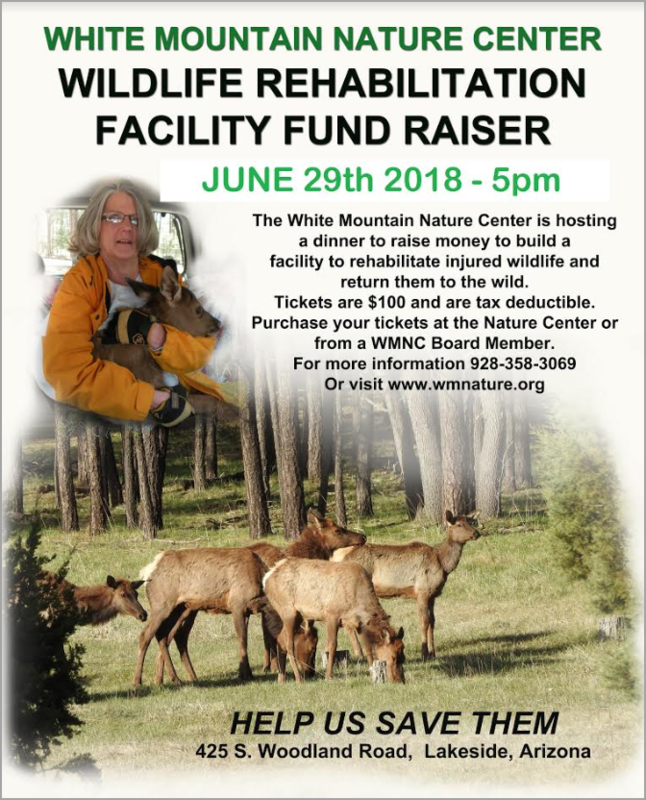 WMNC is hosting a dinner to raise money to build a facility to rehabilitate injured wildlife and return them to the wild. Tickets are $100 and are tax-deductible. You can purchase your tickets at the Nature Center, from a WMNC Board member, or online on the WMNC website. For more information, you can call us at 928-358-3069.